Stylen offers women a variety of information and opportunities to do with the topic of fashion. From discovering new trends in the online magazine to browsing in the shopping area or creating their own style in the Style Generator – women get their money’s worth! 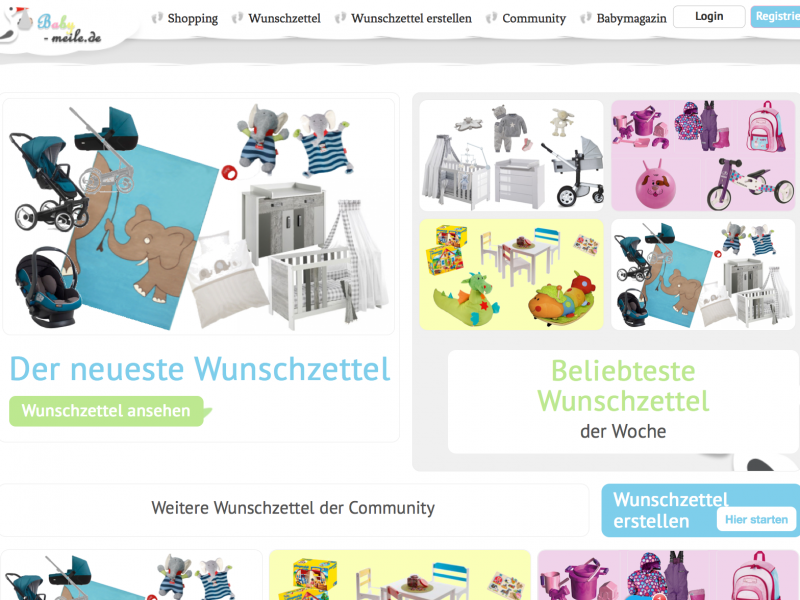 Babymeile.de offers everything to do with babies! It not only has helpful information articles, but also a large shopping area with products from various partner shops. 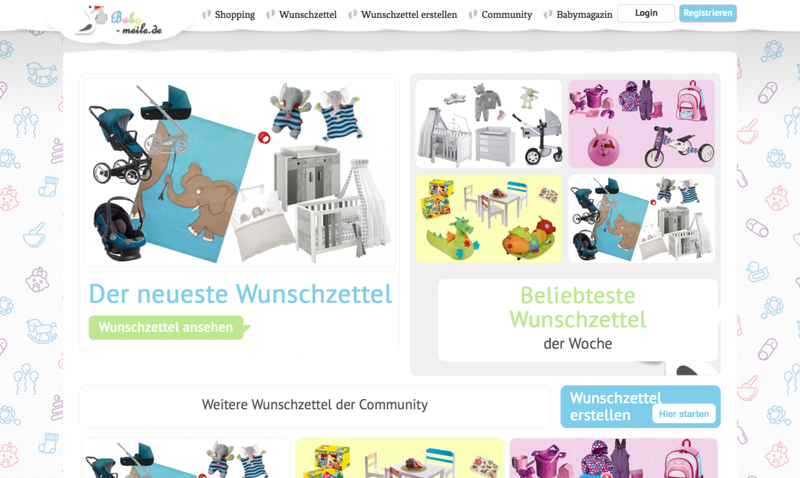 Users can also create their own baby wish list and share it with the community! 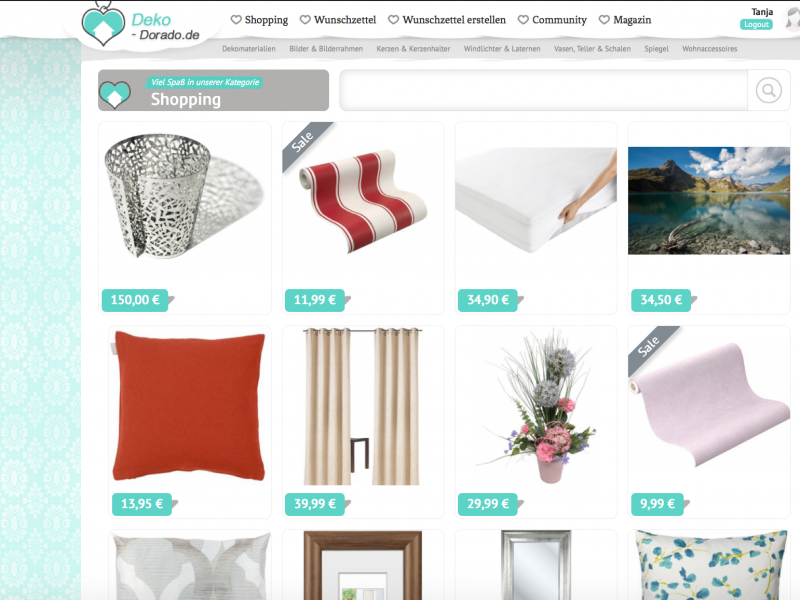 Deko-Dorado.de offers an overview of lots of products from various shops, so users can very easily search for decor items! The various filter options help the user to find the best product as quickly as possible! The web design, implementation and programming for Sunball Tennis & Reisen was created in 2013. The site went online in the same year is continually supervised. 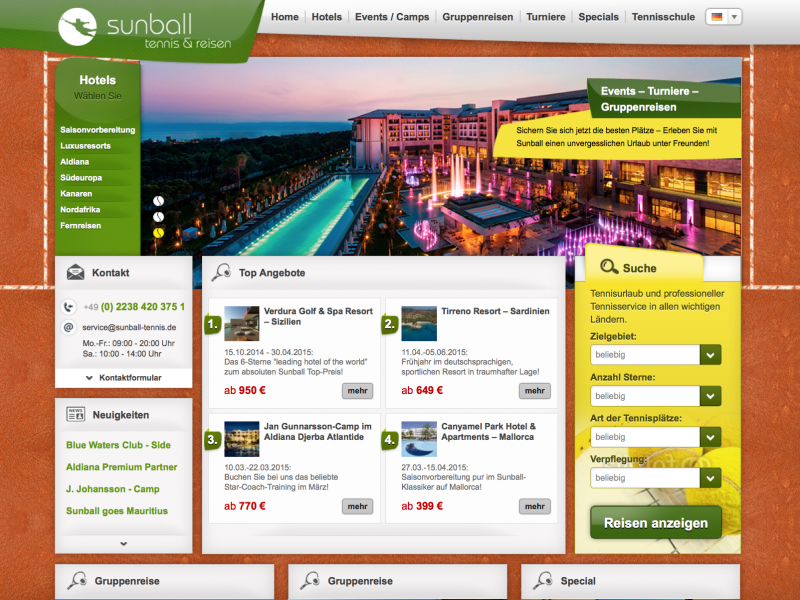 Trips have been successfully sold over the site since its inauguration. 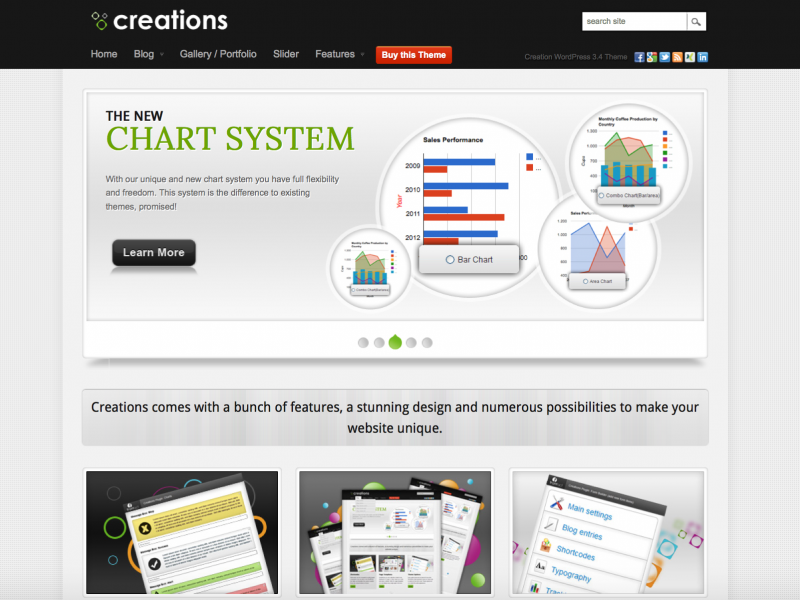 Webdesign Creations was fully designed and programmed by us. Every customer has the opportunity to customise this design even further – for example, there are various colours available. 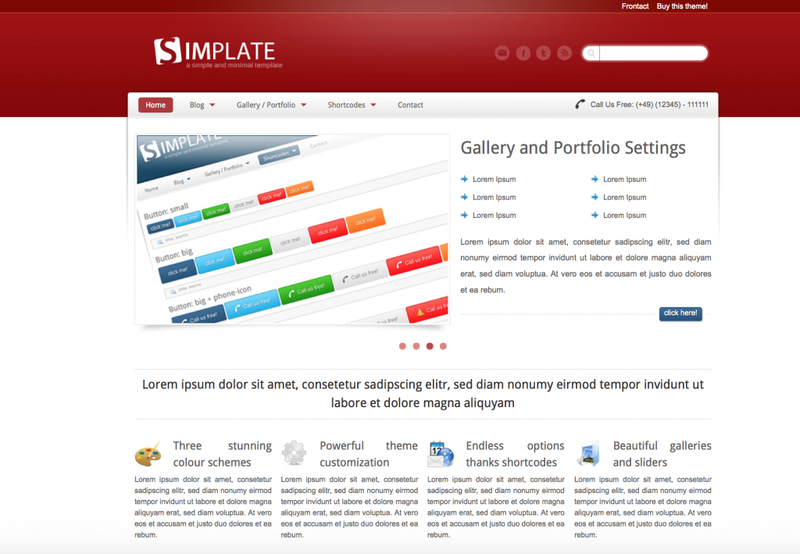 It is offered for sale on Mojo Themes. 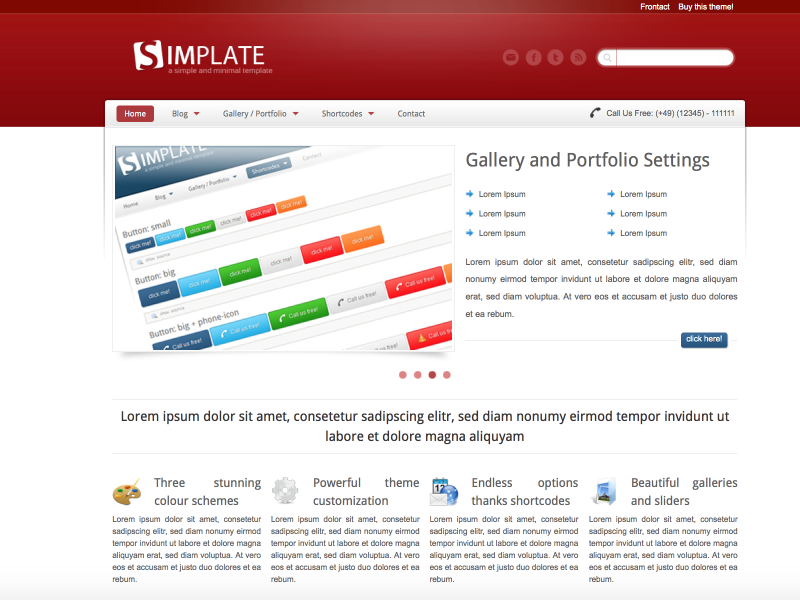 Also in this design is a specially created page with programming that is offered by us at Mojo-Themes for Sale. Suitable simply customizable and anyone can join! 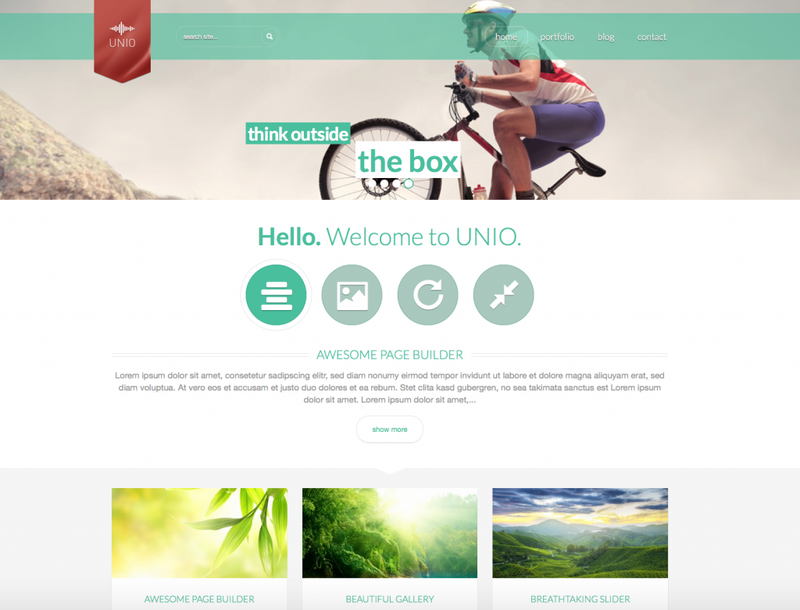 Unio is another web design created by us; it can be very easily customised by the client. This design is also on sale at Mojo Themes. We are your team for everything related to online advertising and web design. Do you want to find out more or do you have a specific question? 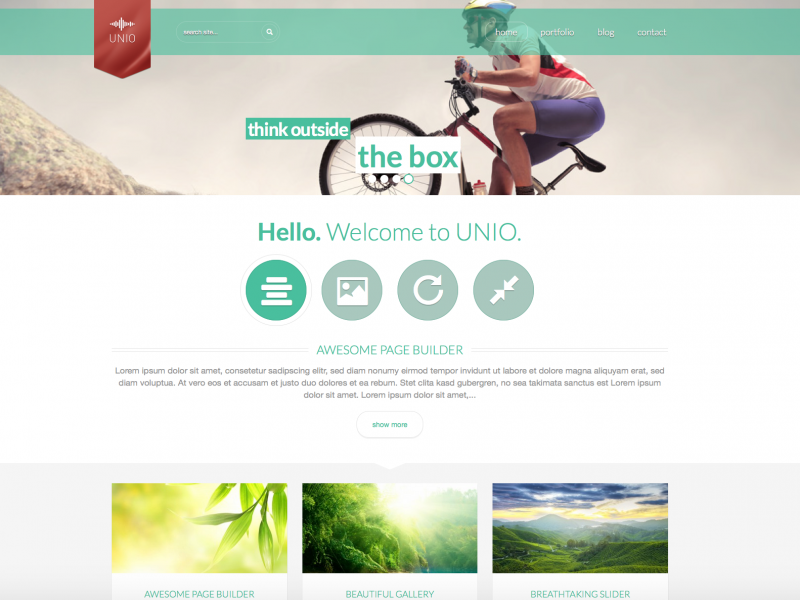 Just have a look around the site or write to us using our contact form!